Now that summer is winding down, it is time to start thinking about autumn and cooler temperatures. With the arrival of autumn comes the typical annoyances, including the inevitable cold season. Going around with a stuffy nose and headache is never fun. 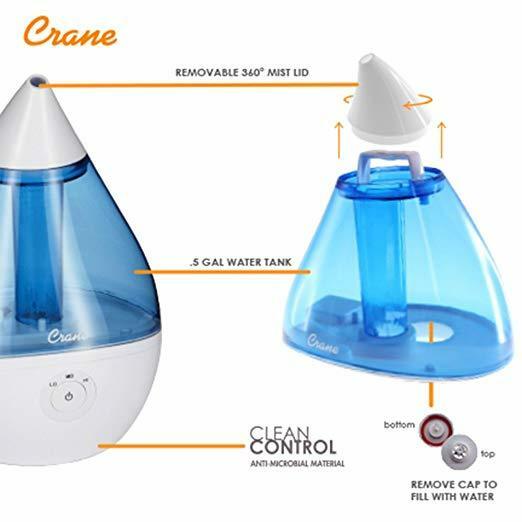 Luckily, relief can be had in the form of Crane humidifiers! These machines work tirelessly to provide you with a comfortable home. Many people have wondered how exactly these humidifiers are able to do what they do. How do they work? We have the answers that you are looking for in the article below! The company that creates Crane products started back in 2005. They have 13 years of doing business as a corporation. Back at the beginning, they just had a few design ideas that they were playing around with. This has grown to include thousands of different designs and products. 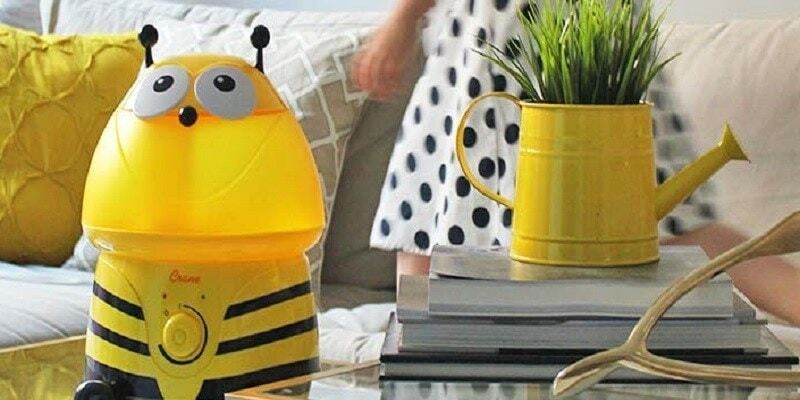 Now, Crane offers products such as humidifiers, space heaters, air purifiers, and fans. Crane’s basic motto is to improve the living conditions of the home. They create humidifiers that are reliable, efficient, and stylish. An ultrasonic humidifier can be either a cool or warm mist product. Ultrasonic humidifiers have very high-frequency waves that send vibrations in the water. These vibrations result in the water droplets being broken down into a fine misty vapor. This mist is then released into the air and adds more humidity to the home. The mist will disperse throughout the room, and farther, depending on how powerful the humidifier is. If a humidifier does not have a filter, it means that the mist will leave behind a white residue. This is from theminerals in the water.This dust can easily be cleaned away with a cloth or paper towel. If the white dust is bothering you, there are preventative measures you can take. You can try using distilled water in your humidifier. This will reduce the amount of residue that appears. Another option is to use a demineralization cartridge in your humidifier. This will also lessen the amount of white residue that appears. 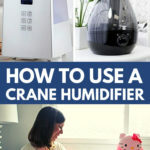 After purchasing your Crane humidifier, knowing how to set it up properly is important. First, turn the water tank upside down and unscrew the cap. Then you will be able to fill it up. 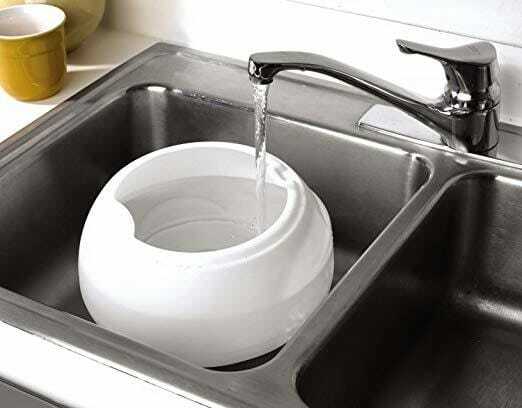 Make sure to use cool, fresh water every time you refill. Do not fill the water all the way up to the rim, leave a gap. Also, make sure not to add hot water or any type of essential oil to your humidifier. Then you can screw the cap back on and secure the tank to the base of the humidifier. Then you will be ready to plug the humidifier in and start operation! You can control the intensity of the mist by using the control dials. Having a humidifier means that it will require a certain amount of upkeep to maintain it. The daily maintenance that is needed is fairly simple. All you have to do is remember to turn off the humidifier and unplug it. Then you can empty the water from the tank and the base. This is to be done every day to preventmold and mildew from developing. Then the tank and base can be left to air dry with the cap off. On a weekly basis, there is a little more work involved in the maintenance. When you are ready to start cleaning, turn off and unplug the humidifier, and then empty the water that is inside. Then you can fill the tank half full with warm water and 2 tablespoons of white vinegar. Shake this mixture consistently for about 30 seconds. Then let the mixture sit undisturbed for 30 minutes. After this time has passed, rinse the tank out completely with plain water. Rinse out the base with plain water as well. You can also clean the nebulizer with a damp cloth after it has soaked in the water and vinegar mixture. Allow everything to air dry thoroughly before the next use. 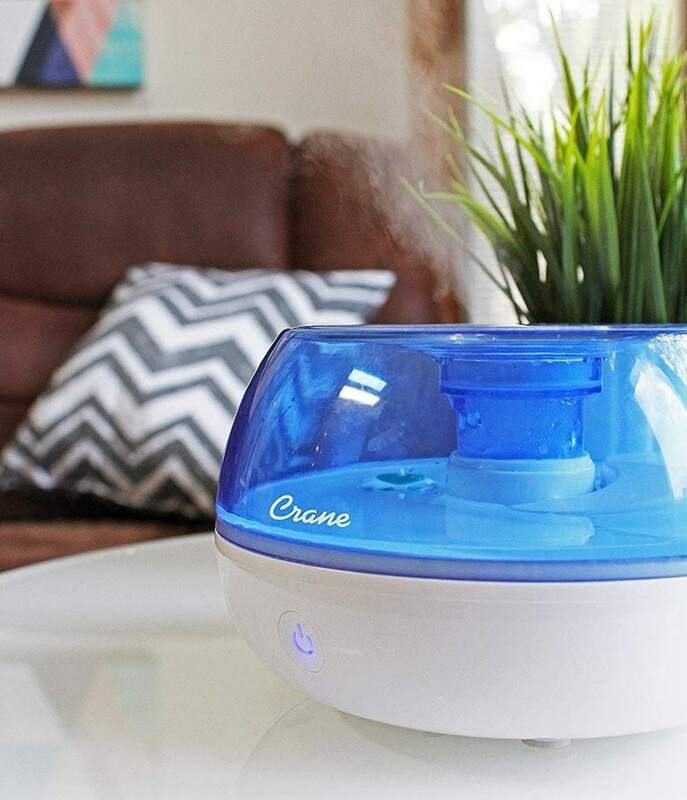 Crane humidifiers are useful in the sense that they improve the comfort level of a home. They are able to add more humidity back into the room after it has been negatively affected by dry air. Humidifiers are able to help get rid of people’s congestion, which helps them breathe better. Having more humidity allows a person’s airways to open better, which means that breathing and sleeping will come more easily. As a result, your body will have more energy that is needed to fight off the illness. Humidifiers will also help preserve wood furniture. The furniture will be protected from cracking and splitting. As well, the wallpaper will not peel if there is extra humidity added back into the home. When a child is born, they will breathe only through their nose for their first 4-6 months of life. This is the time when a newborn is the most delicate and has to be protected from sickness. 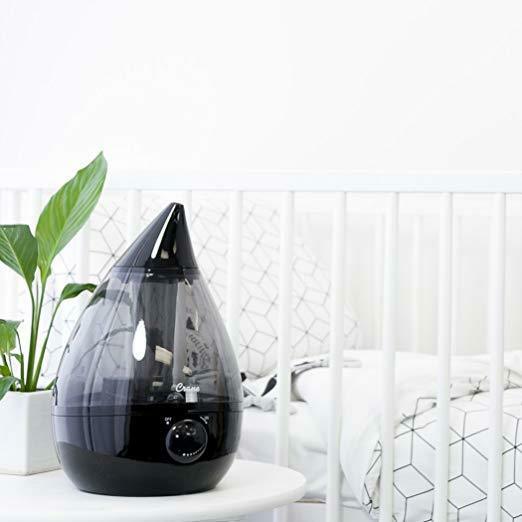 Humidifiers are able to clear newborn babies’ nasal cavities so that they can breathe freely. This will be one less worry for the parents to deal with. As a result of this, the baby will sleep better and be less fussy in general. Newborns will also lose more moisture in their skin compared to adults. 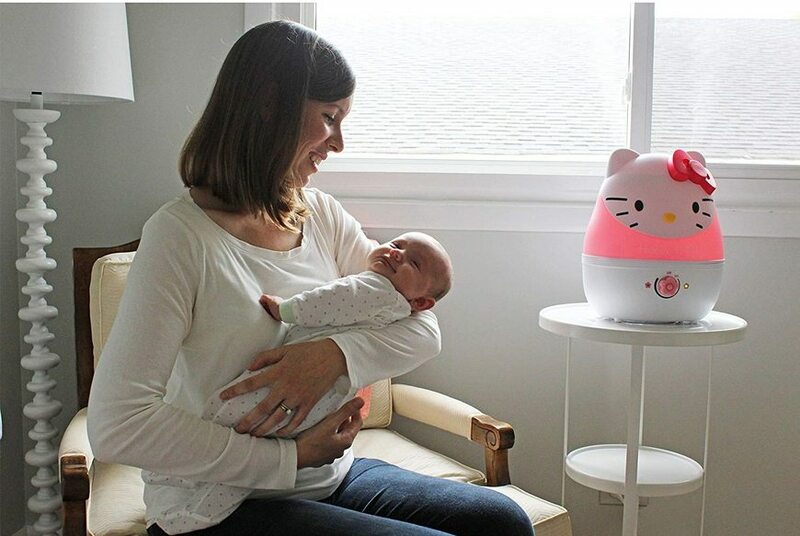 Humidifiers allow the newborn to retain that moisture, and keep their skin soft and smooth. 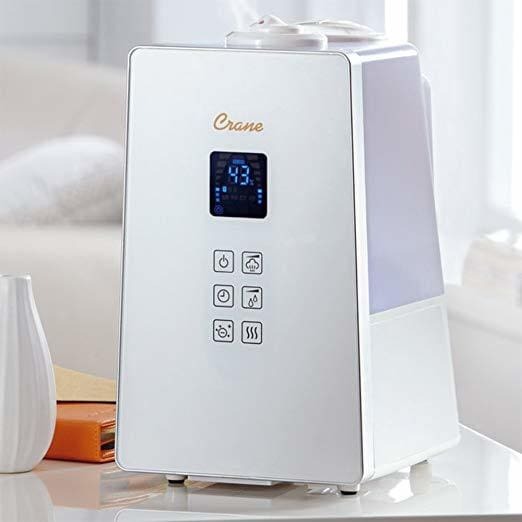 Crane humidifiers are good quality products that will provide you with a long-lasting refreshing feeling in your home. An ultrasonic humidifier is a quiet option, but it may produce a bit of white residue from the minerals in the water. Humidifiers are beneficial to reduce the symptoms of illnesses, and also to protect your wood furniture. They are also very helpful if you have a newborn in the home. Have you tried a Crane product before? Let us know in the comments below! How Does a Whole House Humidifier Work?